The Chief Pilot reported that, while working on transmission power wires, the pilot maneuvered the helicopter closer to the wires to give a better position for the other crew member. He added that the pilot heard a noise and felt a vibration from the tail section. The pilot moved away from the wires, noticed no abnormality of flight, and returned to the landing zone without further incident. Postaccident examination revealed that the helicopter sustained substantial damage to the tail rotor. The Chief Pilot reported that there were no preaccident mechanical failures or malfunctions with the helicopter that would have precluded normal operation. 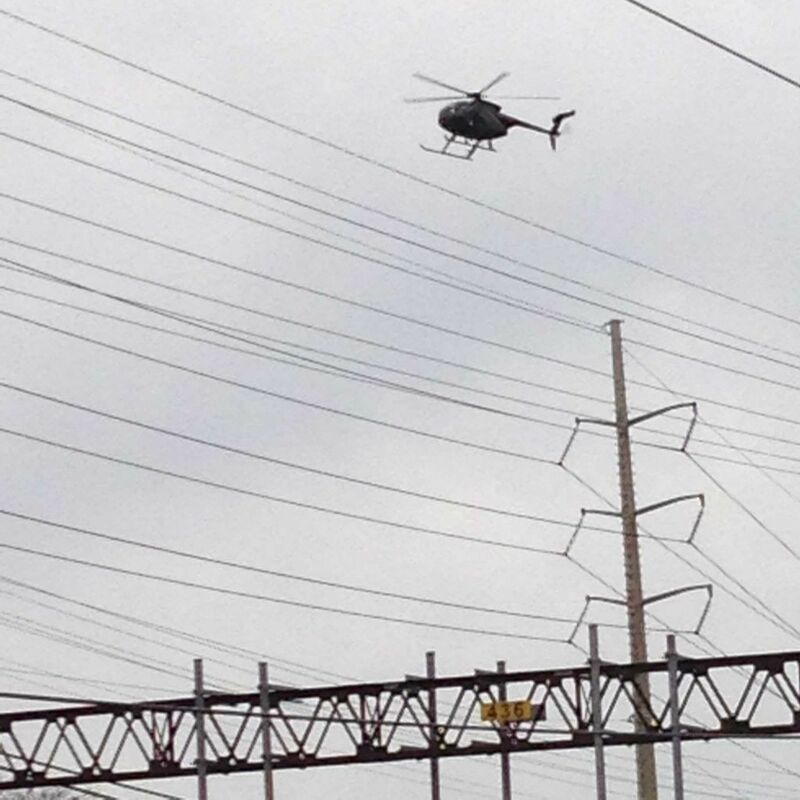 Darien police released this picture of a helicopter doing work for Eversource, the electric utility. The Darien Police Department has been getting “hundreds and hundreds” of calls from residents concerned about low-flying helicopters in the past week, says Sgt. Jeremiah Marron, a department spokesman. The choppers are surveying transmission lines with high-resolution cameras, according to a statement released by Eversource, formerly Connecticut Light & Power, and posted on the Internet by Darien Police. The project is “part of an ongoing effort to strengthen the power grid and increase reliability,” the utility said. “Photographs collected during these flights will help build a more detailed record of structures, lines and other electrical equipment which will increase the efficiency of maintaining the electric system in Connecticut,” the statement reads. The flights are expected to wrap up this week, Marron said. The utility statement said that for this week the helicopters will be flying as early as 7 a.m. and as late as dusk. The chopper is also flying in Greenwich, Stamford, Norwalk and Westport.